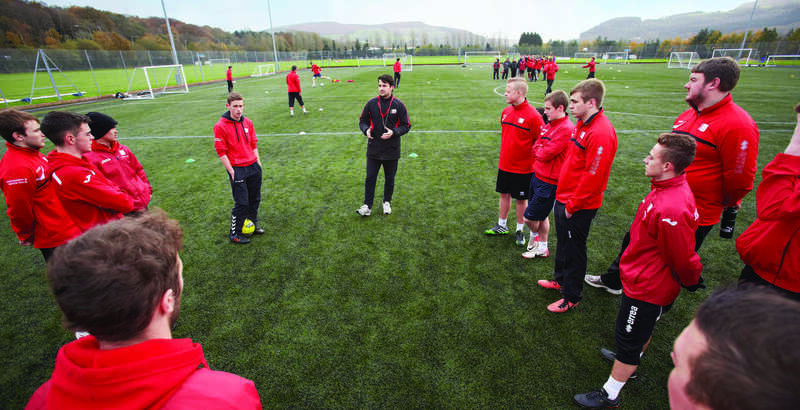 QUALIFICATIONS IN FOOTBALL COACHING AND COMMUNITY DEVELOPMENT. Head for a career in sport and study at a football club. Specifically designed for students who have already obtained a football-related Foundation Degree or equivalent qualification, the BSc (Hons) Football Coaching, Development and Administration (Top Up) allows you to gain a full Bachelor of Science degree in less than year. This unique course focuses on both the football and business related knowledge needed to develop professionals for the football industry. You will consolidate your learning and start to specialise your work-based learning experience in line with your career ambitions. 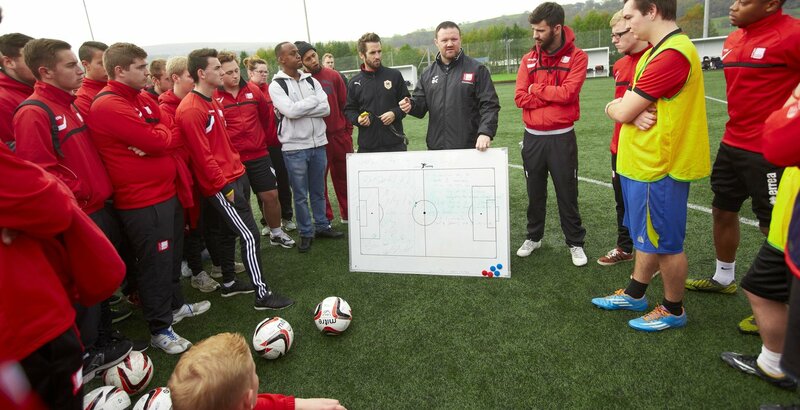 Developed in partnership with professional coaching organisations, this football coaching course allows you to study and gain work placements across the globe. The Foundation Degree in Community Football Coaching and Development has been designed in conjunction with the EFL Trust in order to identify the type of skills and qualities that are required to work within professional football clubs community departments or national governing bodies in areas of growth such as social inclusion, community coaching and football development.